Weiran Jiang is a freshman at LASA high school in Austin, TX. 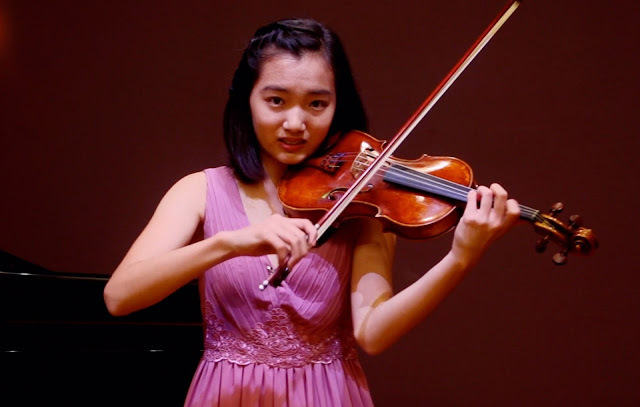 She began taking violin lessons when she was six, and now studies with Ms. Sandy Yamamoto and Ms. Luna Chu. She is the concertmaster of the LASA High School Honor Orchestra and the assistant concertmaster of the Texas Region 18 Symphony Orchestra, and was recently selected to be a member of the Texas All-State Symphony Orchestra. Weiran has received multiple awards in competitions including the first prize of Blackerby Violin Competition and the second prize of Best Mendelssohn Performance.